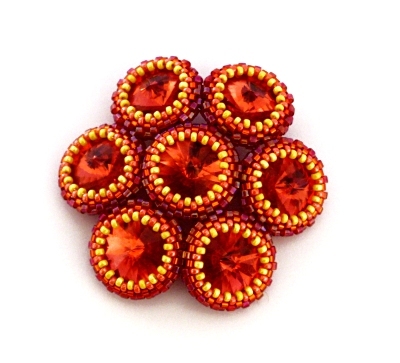 A fully beaded pendant which mixes seven rivolis with 4 other types and sizes of seed beads. You can read about where this piece got its name here. Instructions for this pendant are available here. You can see a 2nd version of this pendant here , a 3rd version here and a 4th here.